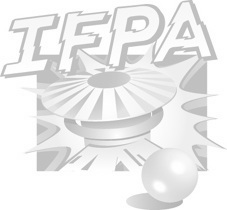 The Die Hard Pinball Classics Tournament will be IFPA sanctioned and will be an opportunity to get world ranking points and an opportunity to get into the top 16 places in ranking for an opportunity to compete in the Alberta Pinball Provincial Championship on February 2017 for a chance to win an entry into the IFPA State Championship Series in Las Vegas in March 2017. •The tournaments are open to the public along with your PRE-PAID admission to the expo. •Entries will be $2 each. •Top 8 scores will qualify. (Up to 50 – registered competitors). •Top 16 scores will qualify. (Over 50 – registered competitors). •Finals start at 6:00 PM on Saturday. •Each elimination round will be a three game Professional & Amateur Pinball Association (PAPA) four player format (4,2,1,0 scoring) knockout round with two players advancing until the final.